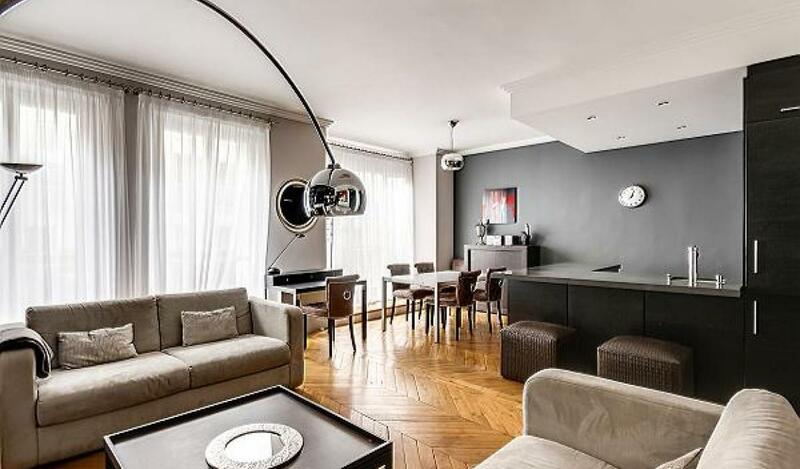 MODERN 2 BEDROOMS/ 2 BATHROOMS APARTMENT located in the 16th in the Chaillot neighborhood in between Champs Elysées and Iena. The apartment has a large living room with american open kitchen, 1 master bedroom with bathroom, a second bedroom with bathroom, a separated WC. 2nd floor with elevator. For more information, please contact us.